Dogs howl for many reasons. For example to express emotions, to call their owners or in response to a similar noise they’ve heard. 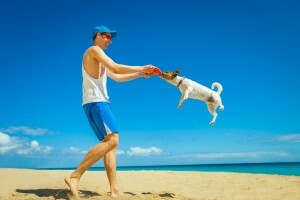 Dogs display many behaviors that are endearing to their pet parents. However, howling is not likely to rank among their owner’s favorites. Why do dogs exhibit this annoying habit? Howling is a form of communication that dogs likely inherited from their wolf ancestors. These pack animals used howling to find other members of the pack or to call them to hunt. Howling also served to frighten away strange wolves that were not a part of the pack. Dog breeds that have retained the wolf-like traits are more prone to howling. These include northern breeds, such as huskies, Alaskan malamutes and Eskimo dogs. Beagles, coonhounds, dachshunds, foxhounds, bloodhounds and basset hounds also have a greater tendency to howl. Contemporary dogs howl for many reasons. Like their wolf ancestors, they could be calling other members of their pack (their owners) home after waiting for them all day. Sometimes dogs instinctively howl as a response to similar-sounding noises, such as music, sirens or a person’s mocking the howling sound. 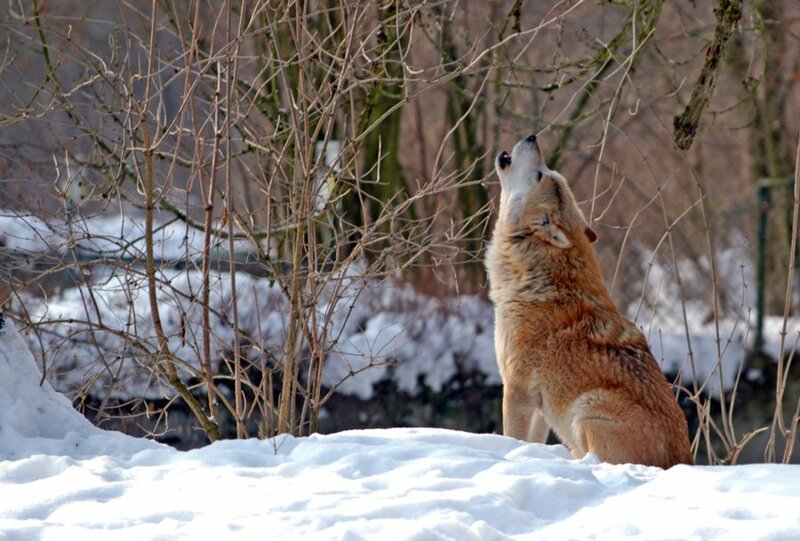 Howling is also a method used to claim territory, much the same as dogs physically mark a fire hydrant or tree. Hunting dogs can be trained to howl when they’ve spotted prey. Because it can travel longer distances, howling is an advantage over barking in this type of situation. 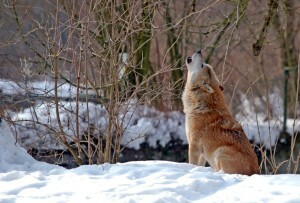 Howling can express a variety of emotions through different sounds and tones. 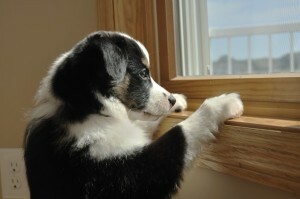 If a dog is sick or injured, the long-distance howl is more likely to elicit help than would a shorter-traveling bark. A frightened or severely injured dog might howl as a means of crying. Is dog howling a problem? If a dog’s howling becomes more than just an occasional nuisance, the owner should take it to a veterinarian so possible medical causes, such as an injury or underlying illness, can be ruled out. Once the dog has been cleared of any medical conditions, the howling must be treated as a behavioral challenge. The first step is finding the root cause. If a dog is left alone for long periods of time, it can develop separation anxiety and express its displeasure by howling. In addition to howling, dogs that suffer from separation anxiety usually exhibit other symptoms, such as depression, pacing or destructive behavior. Working people who leave their dogs alone all day need to provide plenty of toys and stimulation to keep the dog entertained in order to avoid this behavior. Sometimes excessive howling in lonely dogs can be cured by simple interaction with their pet parents. Social activities, such as playing games and taking walks together, provide both physical and mental benefits for the dog and his owner. Dogs have learned that whenever they howl, their person will come. They know it’s a tactic they can use to get their owner’s attention for play time. To stop this type of behavior, the pet parent should ignore the dog when it howls. The owner needs to become virtually “invisible” to the dog by not speaking to, touching or even looking at the dog. It’s best to just turn away from the dog. 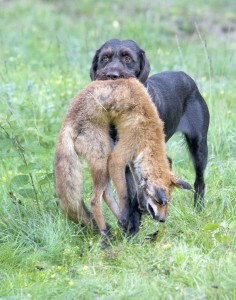 If the animal remains quiet for at least 5 seconds, he can be rewarded with attention and treats. When the excessive howling is a result of the dog’s feelings or motivation, treating it with systematic desensitization and counterconditioning can be effective. Professionals who are experienced in this type of treatment include board-certified veterinary behaviorists and Certified Applied Animal Behaviorists. A Certified Professional Dog Trainer can also be employed for treating excessive howling, provided they have the professional education and experience in desensitization and counterconditioning.